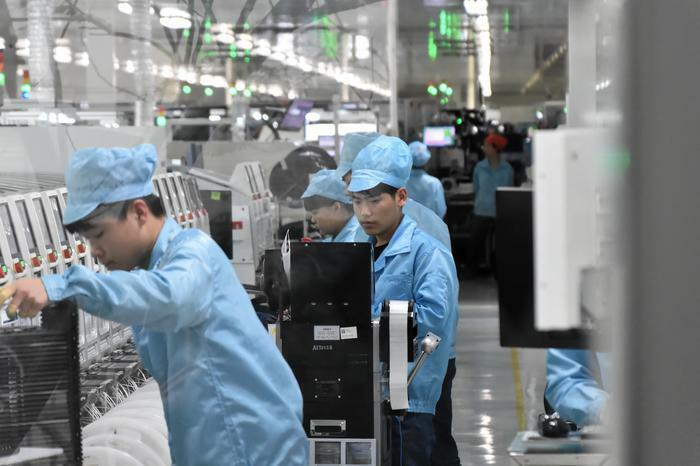 On the eve of launching their R15 flagship smartphone in their home market of China, OPPO flew PC World Australia and several other journalists to visit Shenzhen and one of their factories - located about an hour's drive north in Dongguan. To be clear - this isn't the first time OPPO have done a trip like this. If you search for "inside look at OPPO factory" one, you'll get plenty of results and see that they - along with other Chinese tech brands like Huawei - have made a frequent habit of flying in journalists and bloggers in from the overseas markets to see how the sausage gets made. However, this time, the variables surrounding the trip are slightly different. 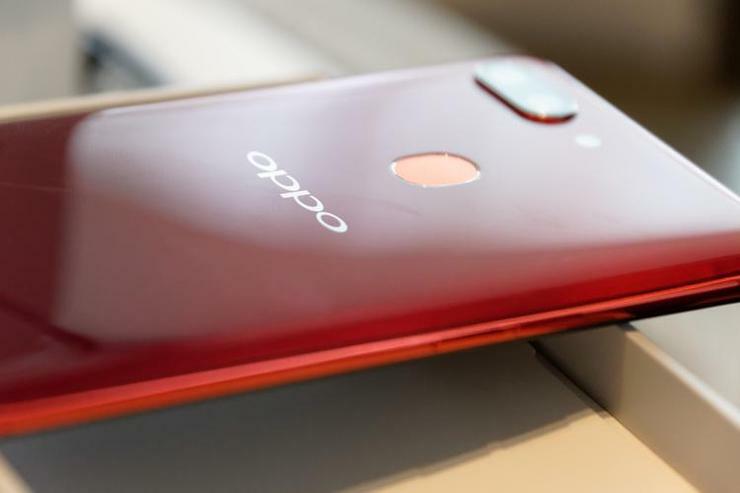 In earlier years, OPPO were more of an upstart brand and while, to a degree, this is still somewhat the case, the gains the company have made in markets in and outside of China are quite significant in context. 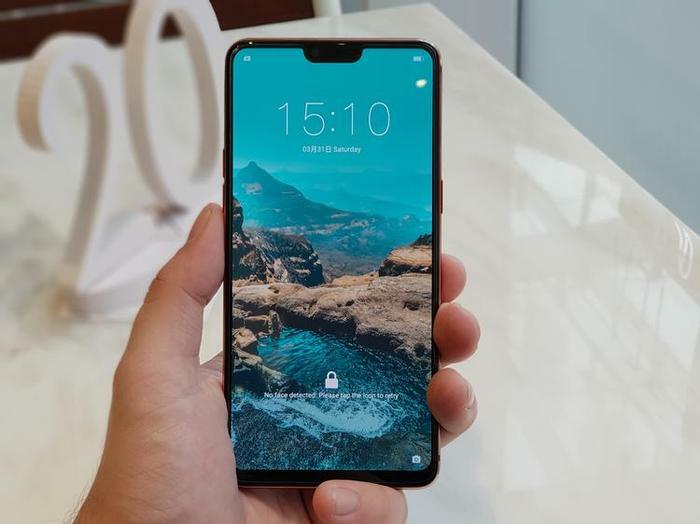 There’s still a undeniable gulf between them and giants like Apple and Samsung but, make no mistake, OPPO are a force to be reckoned with in the global smartphone market. They now operate in 31 markets worldwide. In 2016, IDC reported the company overtaking Chinese rivals Vivo and Huawei for the first time to become the largest smartphone vendor in China. They’ve since relinquished that top-slot to Huawei but, elsewhere, they’re still thriving. According to IDC’s Quarterly Mobile Phone Tracker, the company reached new heights of 8.1% global market share in the third quarter of 2017. Of course, to really get a better understanding of how OPPO approach the market, you’ll want to understand the company’s origins, how they operate and fit within the Chinese market and how that shapes their growing global ambitions. Within China, there are four major domestic brands playing in the smartphone space. Firstly, there’s VIVO, owned by BBK Electronics, who pair together iPhone-esque aesthetics with Hi-Fi quality music experiences. There’s Xiaomi, sometimes called “China’s largest start-up”, who grew out of business model initially focused almost-exclusively on online flash sales and razor-thin hardware margins (with a profit usually later made up for by software revenues). Then, there’s Huawei. Huawei began life in 1987 as a manufacturer of business-grade phone switches and eventually grew to become global leader in the telecommunications and telecom equipment markets before expanding into smartphones in 2003. Last but not least, there’s OPPO. Also owned by BBK Electronics, OPPO were originally more well-known for manufacturing Blu-ray players and audio kit like headphones and amplifiers than they were smartphones. However, in recent years that situation has reversed itself. Only a few weeks ago, the company announced that their hi-fi division “will gradually stop manufacturing new products”. These days, it’s all about smartphones - and there are a few differences in the way OPPO approach the business compared to a lot of their competition. For one, OPPO’s strategy both in China - and more-recently in India - has been to invest in the traditional retail channel rather than online. In contrast to the digital-first approaches embraced by rivals like Xiaomi and Huawei, OPPO reportedly relies on a network of 200,000 retail stores within China to sell its product. The company are also said to pay a higher-than-average commission rate to sales staff at these stores - incentivising them to push the product to more customers. Their rationale for this investment in retail? Well, it’s something born of the unique circumstances of the Chinese market. Back when OPPO first started shilling smartphones, many of their domestic customers were buying their first phones. What they found over time, however, was that while big bullet-point features and a pretty design are good for selling a customer on their first phone, that strategy isn’t nearly as effective once you’ve become part of the regular upgrade cycle. OPPO (and VIVO) found that, for the converted, the opportunity to go hands-on with a phone before you buy it can often be a much more meaningful route towards a sale. It's not hard to imagine how these lessons inform the brand's strategy within Australia. OPPO also claim to hold themselves to a higher standard of quality higher than other brands - and not just Chinese ones. 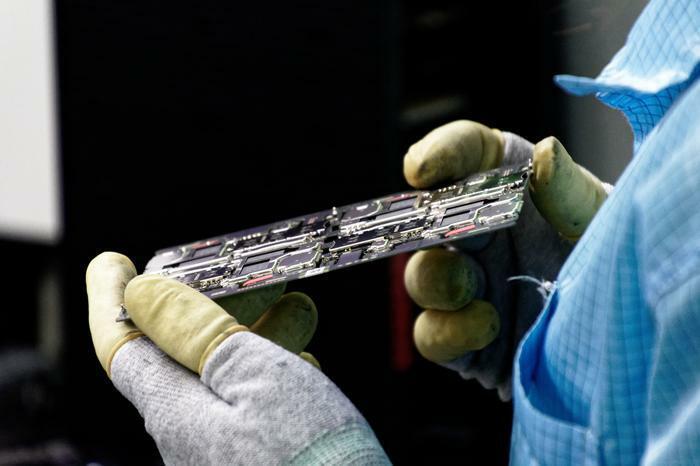 They work to keep as much of the production and testing process in-house as possible, rather than outsource it to Foxconn. As they’d put it, this approach gives them more control over the level of quality of their products - and, after seeing the factory first-hand, I don’t know if I’d disagree. OPPO’s production process is a fascinating thing to unfold. Each component is tested by machines, examined by humans, added to, tested again, examined again and so on and so forth. For all that’s been written recently about machines replacing human workers, it’s fascinating to see a production line where the two operate in tandem to cover for each-others’ inherent weaknesses - and doubly so at such a scale. There’s a very similar dynamic at work when it comes to the quality assurance and testing part of the process. As with the assembly of the devices, every individual feature is exhaustively tested by an workforce of humans and machines. 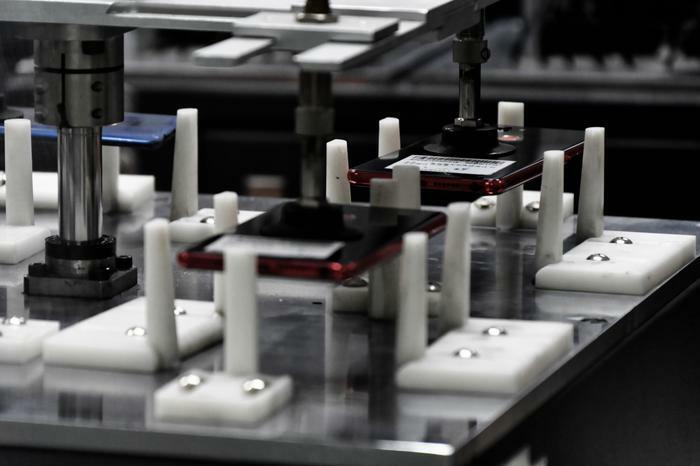 Each phone is drop-tested from both 1-foot and 1-meter millions of times as part of this process. OPPO even handle all their IPX water resistance tests in-house. Depending on the device, units are submerged, left to dry and then tested - all within a closed lab environment. Interestingly, in the markets where OPPO have a local factory, they actually produce the devices that will be sold in that country. For example, devices produced the OPPO’s Noida factory are then sold to its Indian customers. It'll be curious to see how - like everything in China - the inevitable rising cost of labor might change or complicate this picture. At present, having hands-on tests for every step of the process is financially feasible for OPPO (and others) to achieve. However, that might not always be the case. According to market research firm Euromonitor, Chinese factory workers are now getting paid more than ever with average hourly wages 64% since 2011. The other key point-of-difference between OPPO and its competition comes in the form of the brand’s ColorOS software. Much like the company’s retail-focused strategy, ColorOS is an interesting beast that’s been likely shaped by the nature of the Chinese market more than anything else. Essentially (and in the most generous of terms), ColorOS an Android skin that makes the user experience look and feel a lot closer to Apple’s iOS than it does a lot of the other Android OS options out there. It’d be easy to knock this approach and call it derivative. However, it also does make a certain amount of sense. A lot of people like Apple’s particular style of accessible interface and sleek product design - but not all of those potential customers are as keen on paying the high price of entry to that ecosystem or being locked into. That’s the target audience for ColorOS - and OPPO are catering to them. What’s more, when you look at the ways that the company are seeking to evolve ColorOS with the new R15 - that pitch takes an intriguing turn. In China, services and platforms like Google, Facebook and Twitter are all blocked. As a side-effect of this, an increasing number of Android features (like Google Lens for example) aren’t readily available for devices sold within China. In their absence, OPPO have incorporated their own take on these features into their software experience as a baseline - making it more fully-featured from the get-go and more Android-like than ColorOS has been in the past. 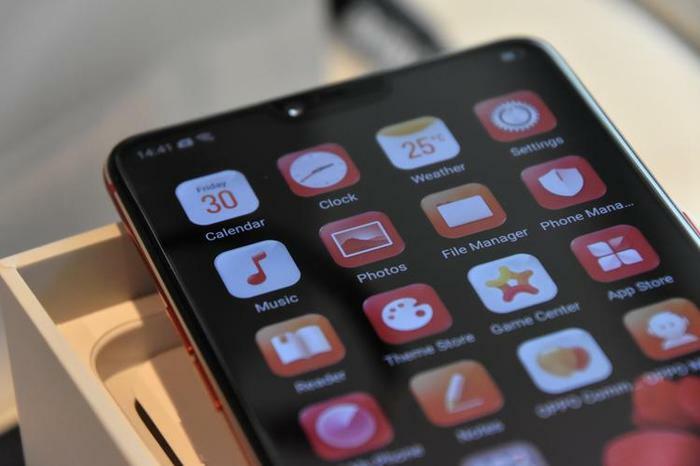 Where previously ColorOS was evolving to keep pace with Apple’s advancements, it’s now complex and mature enough to incorporate features and functionality from the Android mainstream as well. It’s still not going to necessarily be for everyone - but for the target market that OPPO have their eye on, it’s likely to be a shift that changes their user experience in ways both big and small. Of course, software is only part of the picture. With the string of devices leading up to the R15 looking as similar as they do, it’s easy to overlook the history that OPPO have with innovation in the smartphone space. 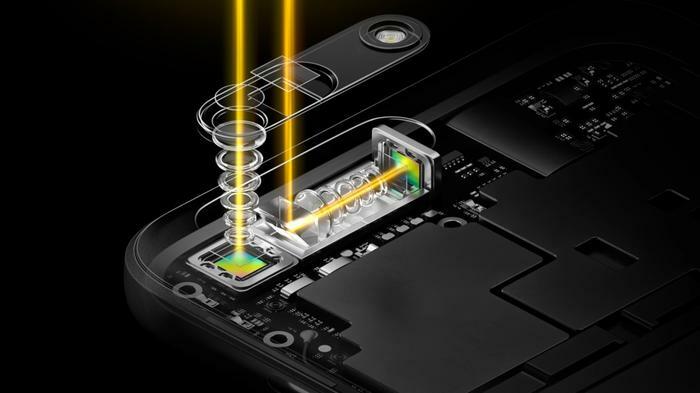 In 2014, they debuted the world’s first motorized rotating smartphone camera with OPPO N3. Their proprietary VOOC fast-charge feature continues to rank as one of the industry’s fastest charging solutions and, while Huawei has recently garnered headlines for the 5x hybrid zoom in its new P20 Pro, OPPO actually debuted their own 5x optical zoom solution in 2017. Speaking to journalists, OPPO product manager Derek Wang said that 2018 would see the company present many new products to consumers later this year but “due to confidentiality” no new info could be shared at this time. “Just stay tuned,” he said before name-dropping OPPO’s new research institute, which aims to ready the company for the 5G-era and develop further advancements for the camera and charging technologies used in their products. “Just wait and see,” Wang says.